The purpose of this statement is to set out how we use personal information that we may obtain about you. By either registering as a user of any services provided by http://www.chihuahuaproducts.com on this website and by using the http://www.chihuahuaproducts.com website generally you agree to this use. http://www.chihuahuaproducts.com is a third party owned website, with logistics operated by Urban Trek and complies with the Data Protection Act 1998 relating to the personal information you supply online. We may also use the information we gather to notify you about important functionality changes and alterations to the site, or offers of products, services or information that might be of particular interest to you. 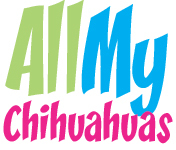 By submitting your information and ticking the requisite boxes on any order form or when subscribing to the services available on http://www.chihuahuaproducts.com , you expressly consent to such use to the extent permitted by applicable law. If at any time you wish to stop receiving our newsletter or any other information you may have requested from us please email or write to Customer Services at the address given for us above or click the unsubscribe link which can be found on your account page.